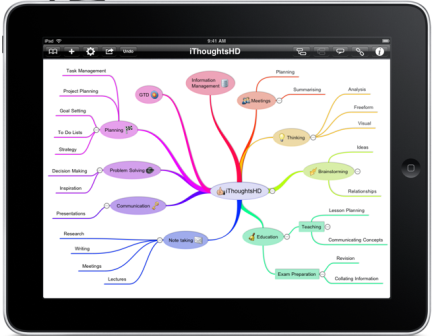 In the emerging world of mind mapping on the iPad, iThoughtsHD has taken an early lead with an incredible set of features that no other developer even comes one close to. More importantly, it contains the features and functionality that makes it eminently useful to academic users. And on the iPad’s large screen, it’s an absolute pleasure to use. iThoughtsHD has a clean, well-organised user interface that is key to its functionality. It contains just enough toolbar icons to enable you to quickly capture your ideas, while more advanced tools for embellishing your map and its topics are cleverly hidden within several “inspector” buttons. That keeps them out of the way, yet they are only a few taps away when you need them. This well-designed app gives you several options for adding topics to your mind maps. A set of 3 buttons enables you to add child and sibling topics, and to create a topic at the level before the currently selected topic. The shape and colour of topics, icons and task details can be set via a simple multi-tabbed dialogue box. It also contains a tab for topic notes, which may contain live URL and e-mail links. After you have finished typing your notes, you simply click on a blank section of the app’s workspace and your note is automatically saved. Moving topics is simple: You just tap and hold a topic until it is highlighted and its connector line disappears. Drag it until it is overlapping the new topic to which you want to join it and drop it there. Do you sometimes wish you could access files and drives from your home or work computer to view on your iPad or iPhone? 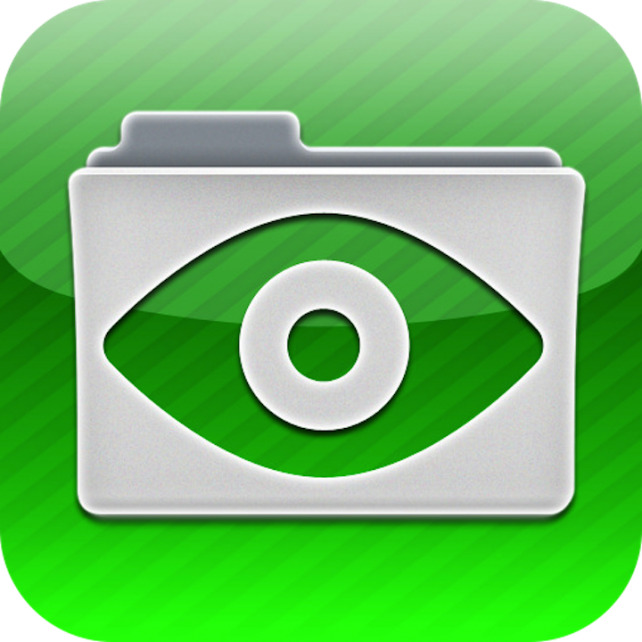 The excellent “FileBrowser” app enables you to browse through all the folders and files in your Mac or PC remotely. You can open compatible file types in the app itself or save them and send them to other compatible apps like “Dropbox” all that is required to complete the task is to install the relevant VPN software. 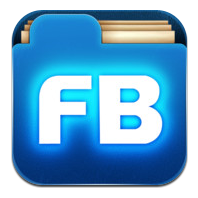 “FileBrowser” is a universal app for the iPhone, iPod Touch, and iPad. The good thing about this app is you won’t have to install any additional software on your computer. You will only have to enable the appropriate network settings in your computer (e.g. File Sharing on the Mac), and then enter your username and password to login to your computer. Aside from Mac and Windows, FileBrowser can also give you access to Linux systems and NAS drives. The app is pretty easy to setup for systems on your local network. To gain entry into your computer over the internet you’ll have to do so through using a VPN. With File Browser, you can view PDF files and photo slideshows from your computer, open text documents, email attachments, and stream compatible movies and music over Wi-Fi. Should FileBrowser be unable to handle certain file types, you can use the “Open in” function to use the files in another compatible app. FileBrowser will then download the file into your device. “FileBrowser” does everything it says and works well and also offers security features, such as a password lock. This is an app that will come in very handy for anyone who works with a computer which is, quite likely, almost everyone who owns an iPhone, iPod Touch, or iPad. The app isn’t free but will certainly be of use when on the go. 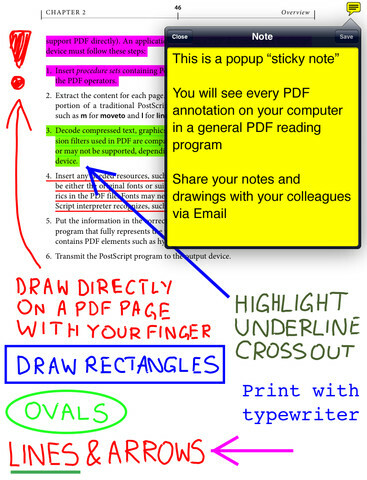 The Pages a pp is an extremely powerful word processing application. It can do almost anything that the desktop version can do. It’s easy to use and anyone who has ever used Microsoft Word can pick it up in a few minutes. You can enter text and format however you want. It is perfect for creating documents, spreadsheets, letters or assignments. Apple’s Pages is the document creation component of their iWork productivity suite of software, put simply it’s their version of Microsoft “Word”. It is a companion app to the Keynote and Numbers apps and all three are universal apps that work on iPhone, iPod touch, and iPad. 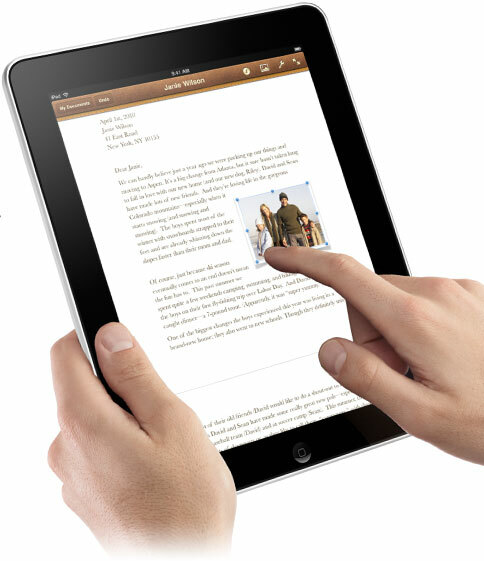 Pages for the iPad is a slimmed down version of Apple’s word processor and page layout application, and it works surprisingly well for mobile document creation and editing. Like its big brother on the Mac, Pages for the iPad includes a nice set of text and graphics tools for making your documents look sharp. It includes tools for formatting text, applying text styles, placing graphics and applying effects, and building your own shapes and objects. The tools are surprisingly easy to use despite the fact that the only input tools are your finger tips. Pages includes a nice set of effects and tools such as drop shadows, the ability to control object opacity, image rotation and scaling, smart guides, and auto-wrapping of text around objects. Watching text reflow around objects and images as you drag them is fantastic, especially considering you’re working with a tablet device. It supports tables and charts like the Mac version and building charts works the same way: Drop in a generic chart, then double-tap to add the data you want. Simple. Creating a new document is a straightforward process in Pages too and the app includes a file export option that saves your documents for sharing with other devices as Pages documents, Microsoft Word files, or PDFs. Whilst not free, the Pages app is a guaranteed winner for those who need the ability to document create away from their desks. 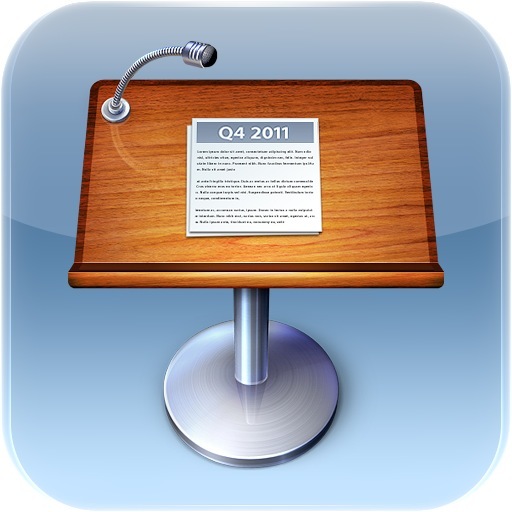 The most powerful presentation app ever? If you’re a new iPad owner and need a way to create, edit, and give presentations on the go, Keynote is Apple’s iCloud integrated solution. It was designed for Apple’s late co-founder, Steve Jobs, and the desktop version was used to give every one of his presentations, including the original iPhone and iPad introductions. Apple’s Keynote is the presentation component of their iWork productivity suite of software, and a companion app to Pages for word processing and Numbers for spreadsheets. 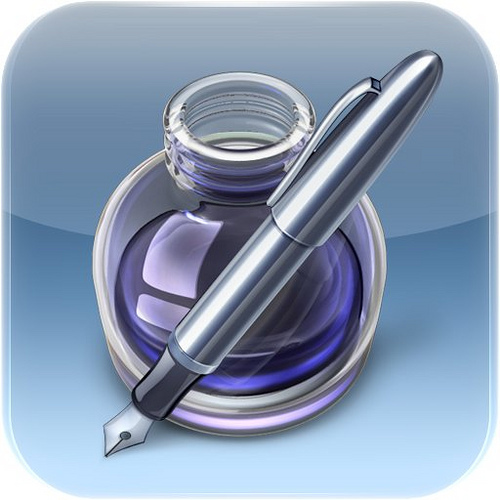 All three are universal apps that work on iPhone, iPod touch, and iPad, and popular choices for document management on the go. While most of the iWork apps pale in comparison to Microsoft’s Office suite, Keynote is the possible exception. Again, it was made for and used by arguably the best corporate presenter in a generation, and that says a lot. However, because Keynote and Powerpoint are both intended for the same purpose, there’s a lot of overlap in features, and if you’ve used Powerpoint, or Keynote on the Mac, you shouldn’t have any trouble getting used to Keynote for iPhone and iPad. If anything, the layout and controls on iOS are even more intuitive than desktop presentation software. Once you’ve gotten the basics down, you’ll be creating amazing presentations that you can share with co-workers and friends with just a few taps. From the main Keynote screen you can open, edit, delete or create a presentation. To create a new one just tap the “+” sign in the upper right hand corner and select Create Presentation. You’ll be presented with several templates that you can choose from. Keynote’s user interface is also simple and streamline. In order to install the app to your device visit the iTunes store. Whilst not free, this app, native to your tablet, will revolutionise the way you present forever. As part of our commitment to supporting you with all your research needs, over the last year we’ve been recommending some useful business apps for you to download to your tablet devices, some of which are for accessing our databases and some which are for useful external sources. 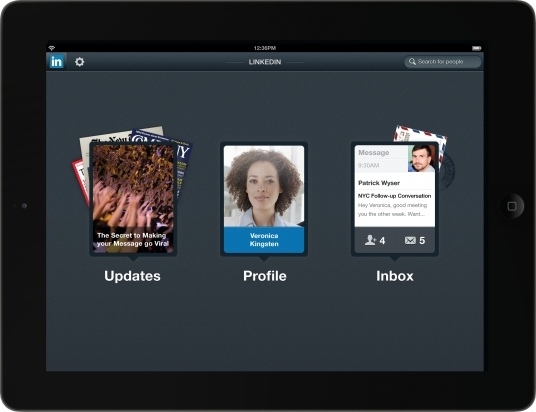 The professional social network Linkedin has released an iPad app in an effort to encourage more users to engage with the service. Despite recent password protection issues the site is going from strength to strength and this new app will dazzle their competitors. This app is designed like a personal assistant, with features such as calendar integration and a focus on Linkedin’s personalised news feed, which shows what news articles are popular among friends. Their mobile platform is the fastest growing consumer service on Linkedin and they are aspiring to be the site which every professional visits throughout the day, hence their new interactive app. Although Linkedin’s 150 million members make it one of the world’s most popular social networks, only a third of users check the website daily. In comparison, more than half of Facebook members use the site more than once every 24 hours. The iPad app is an attempt to increase engagement with the site by adding bonus features and benefits. • Find and connect with more than 161 million members worldwide. • Stay up-to-date with people in your network. • Sync your calendar to get LinkedIn profile information about the people you’re meeting with. • View and save recommended jobs. • Read the latest industry news. • Keep up-to-date with your groups. • Share content with your network. 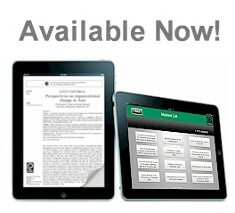 The app is free and designed for both iPhone and iPad devices. Despite its modest name, GoodReader is a stunning execution of a simple idea — one app that can import and view any media in any format, from basic .txt files to entire books and even movies. But this robust and versatile app lets you do more than just read. As an example let’s say someone posts a huge report on Google Docs for you to review. The app allows you to import it, then use GoodReader’s sterling annotation function to mark it up with all kinds of notes and comments. When you’re done, save it, mark it as read, and send it right back to Google Docs, Dropbox, or an FTP server, or via any other file-sharing method. An autosync function lets you standardise the document in both locations so no one gets confused about which version to use. Full-screen viewing on the iPad means no more squinting or zooming problems, and even spread layouts are easily navigated with an intuitive horizontal swipe. (If you want to zoom, though, you certainly can.) A tabbed view, with functions on the right-hand side, provides about the simplest navigation ever seen. GoodReader isn’t free, but its incredible compatibility and flexibility means it can replace many other apps on your tablet. It’s quite simply one of the most useful services out there. Give this app a try and watch how it transforms the way you are able to record data, whether you’re in a meeting, on the move or at home. To access simply download the app from your App provider.